EPISODE 1 翼の復活They’re Back, Aren’t They? 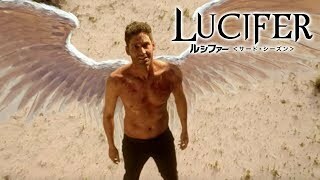 EPISODE 4 ルシファーならどうする？What Would Lucifer Do? EPISODE 11 天使が街に舞い降りたCity of Angels? EPISODE 17 奪われたスポットライトLet Pinhead Sing!